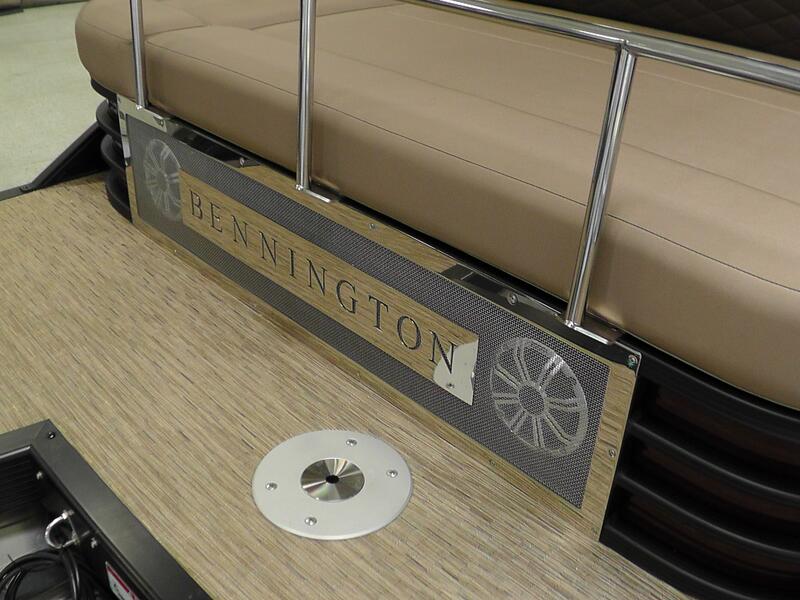 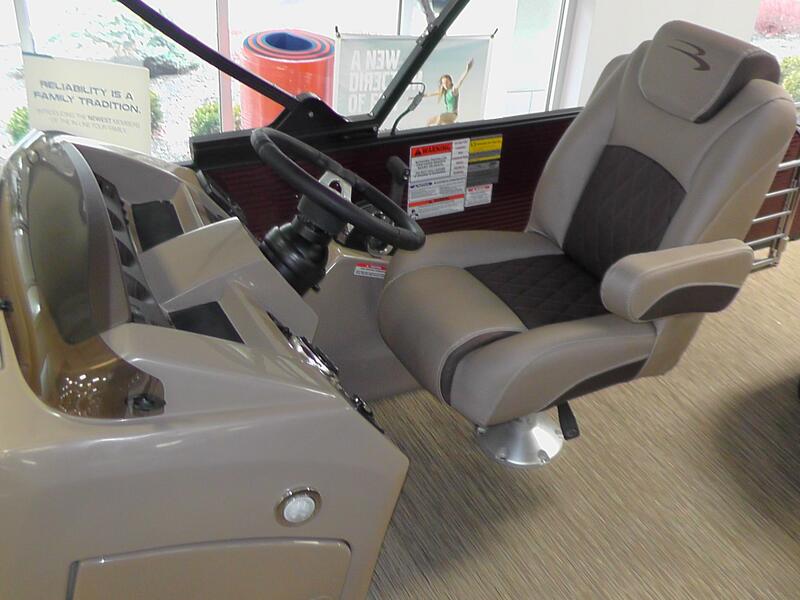 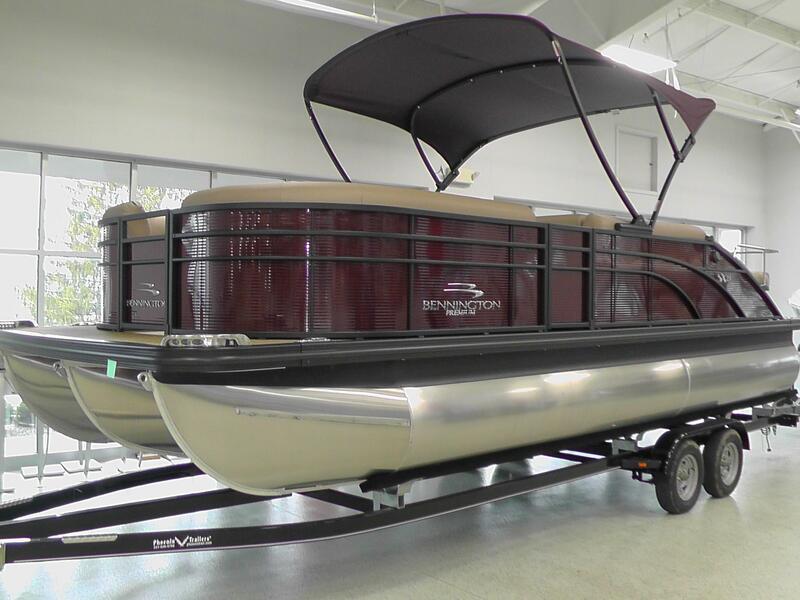 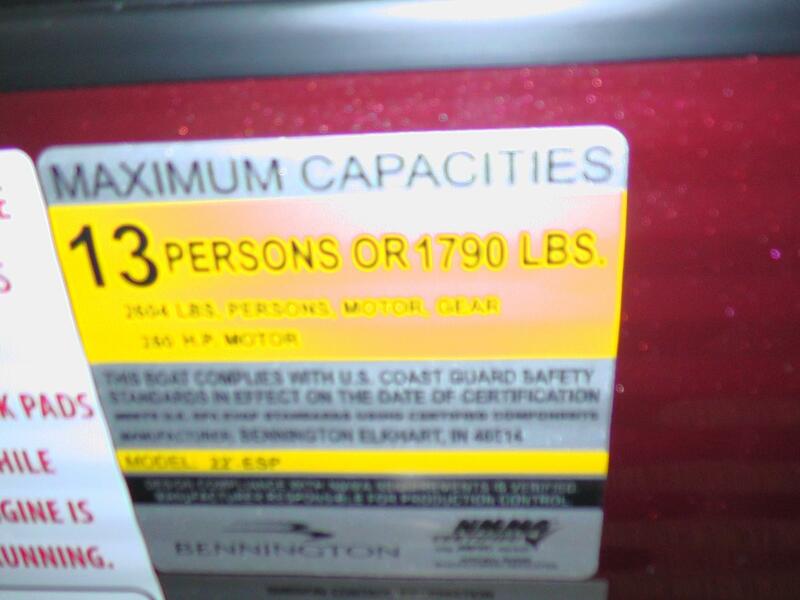 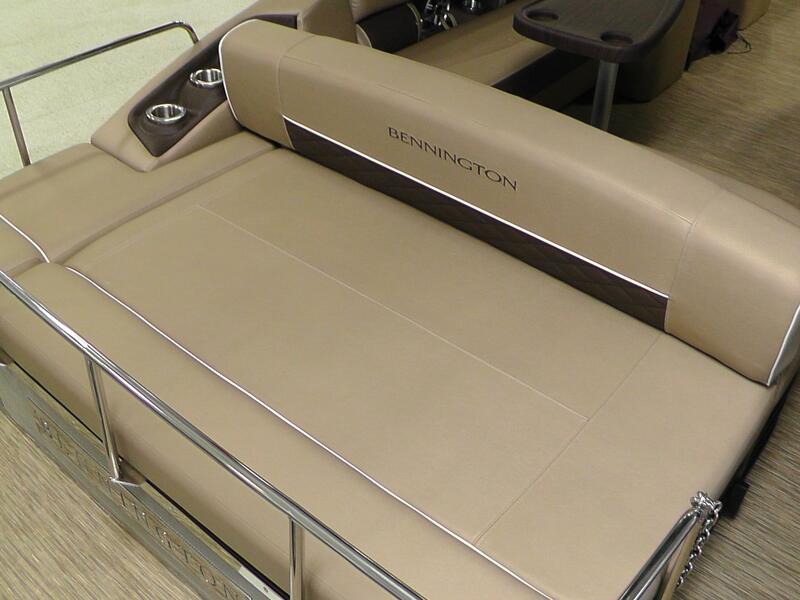 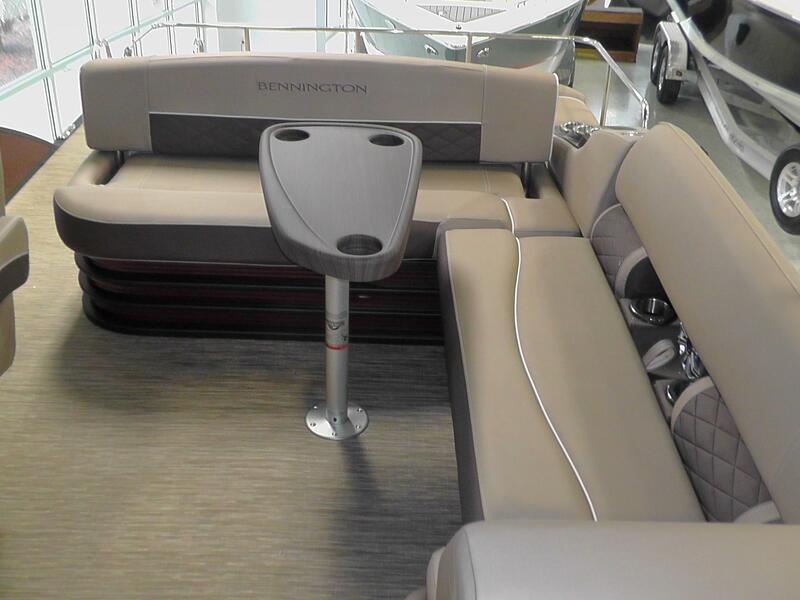 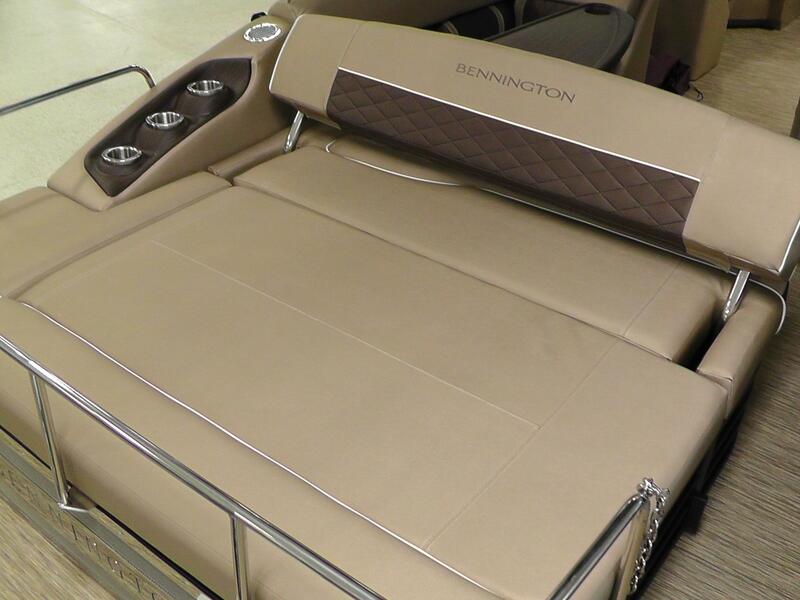 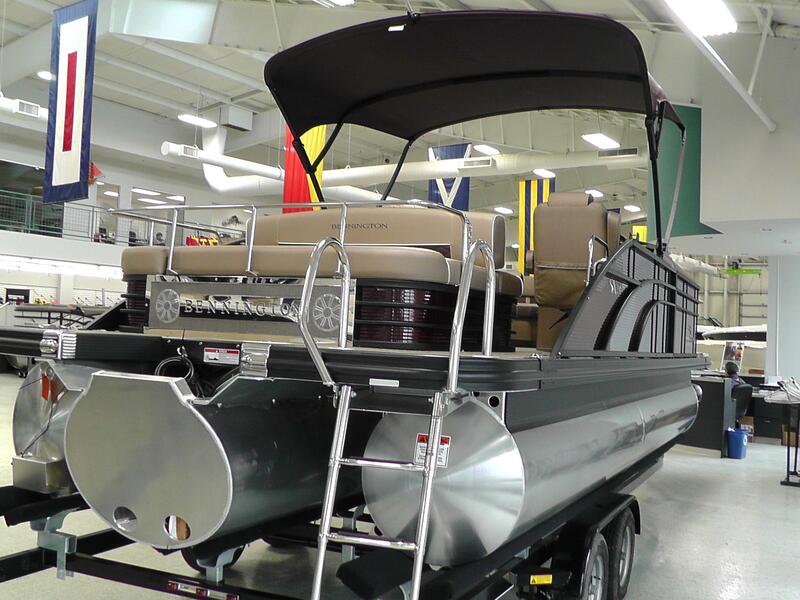 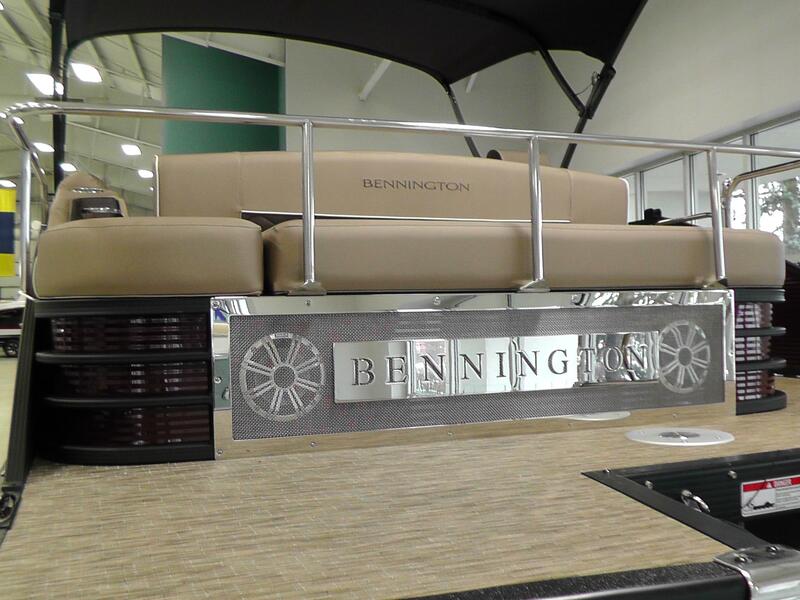 2019 Bennington 23 SSBXP Premium featuring Sunset Red Panels with The Blackout Package. 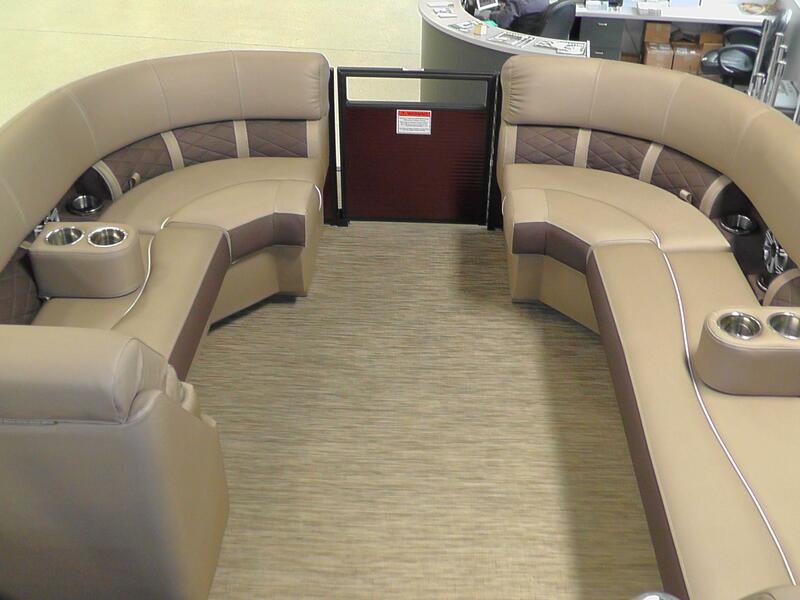 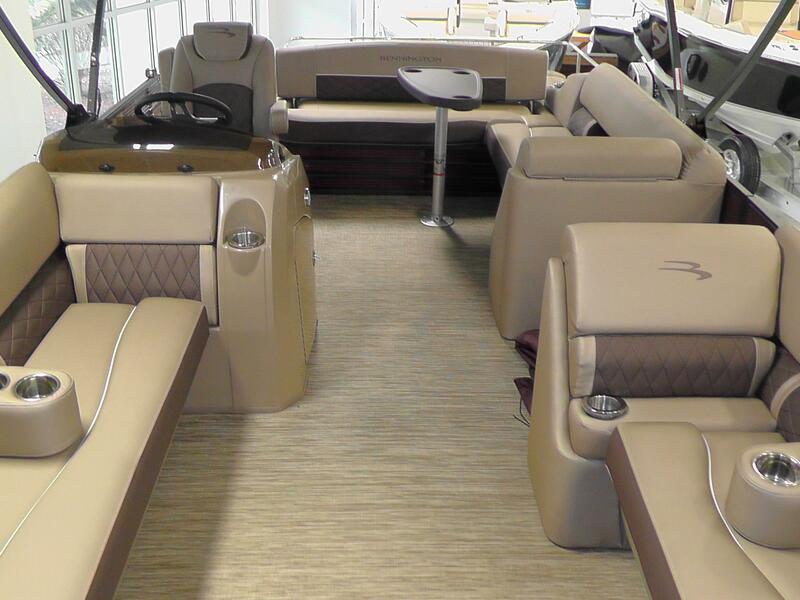 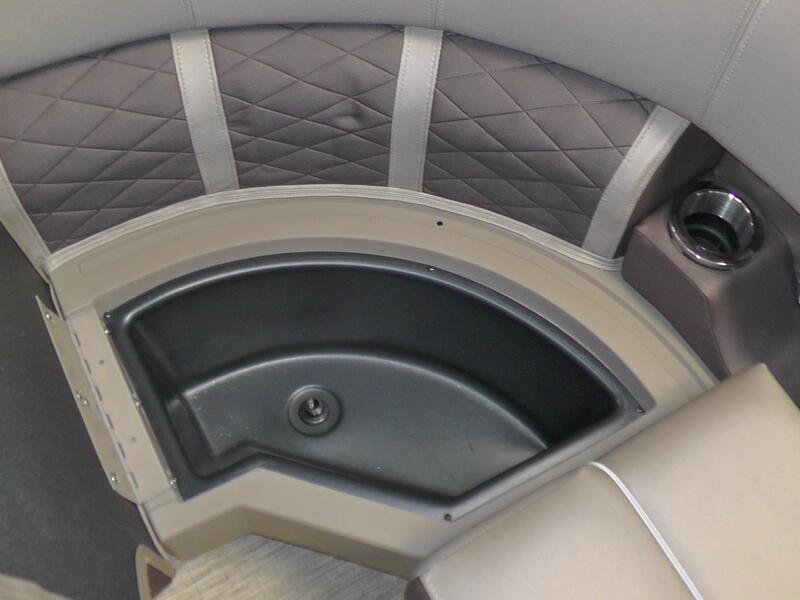 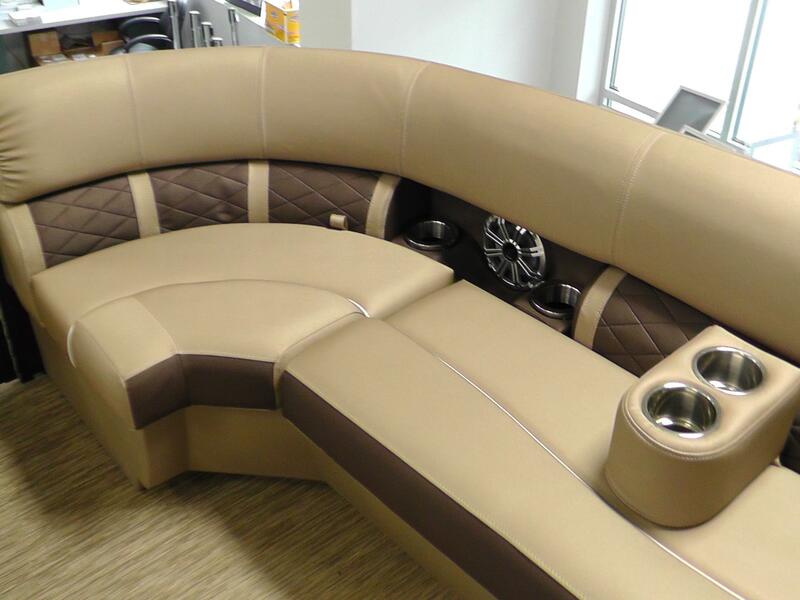 The interior features Bamboo Platinum Vinyl Flooring and Platinum Vinyl Simtec Diamond Pressed Pillowtop Interior. 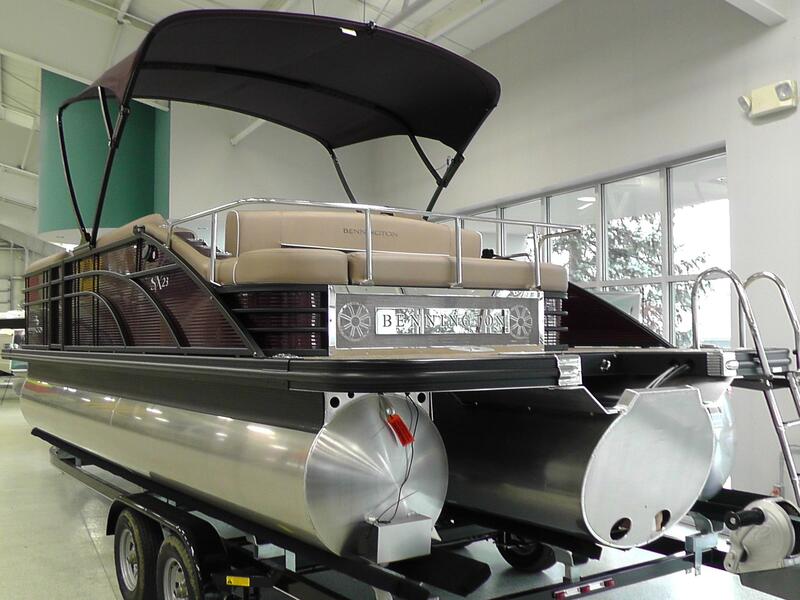 Powered by a 200hp Mercury 4 Stroke with a Stainless Steel Prop. 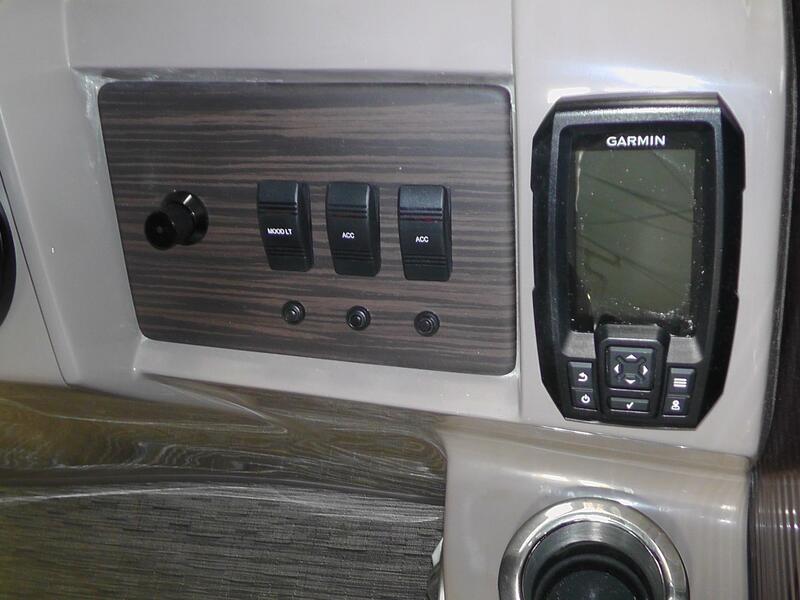 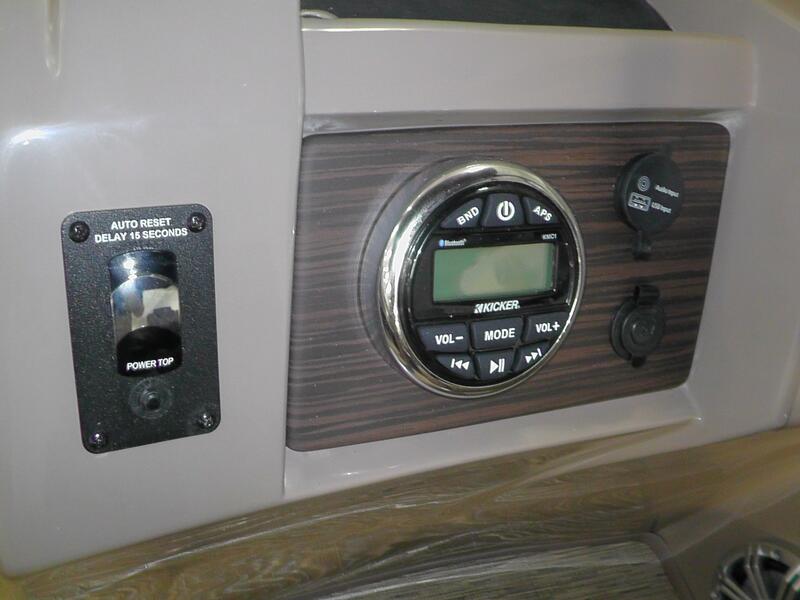 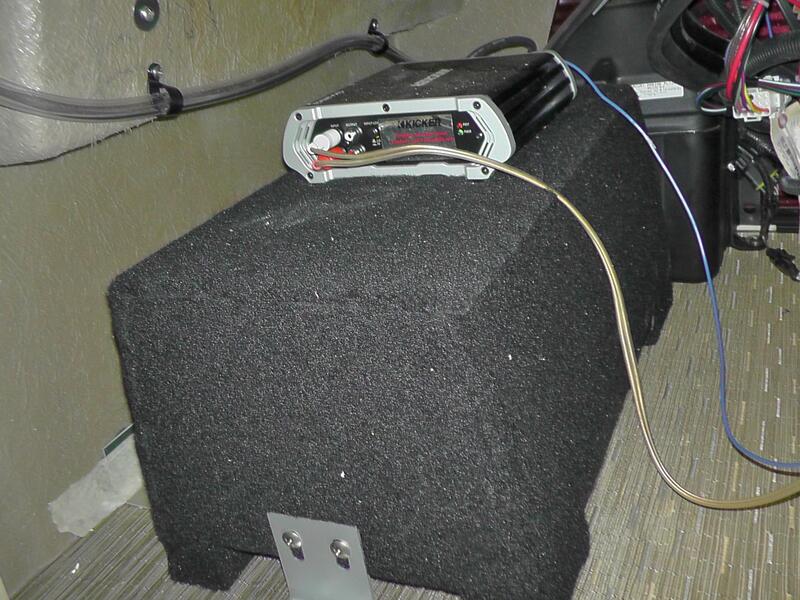 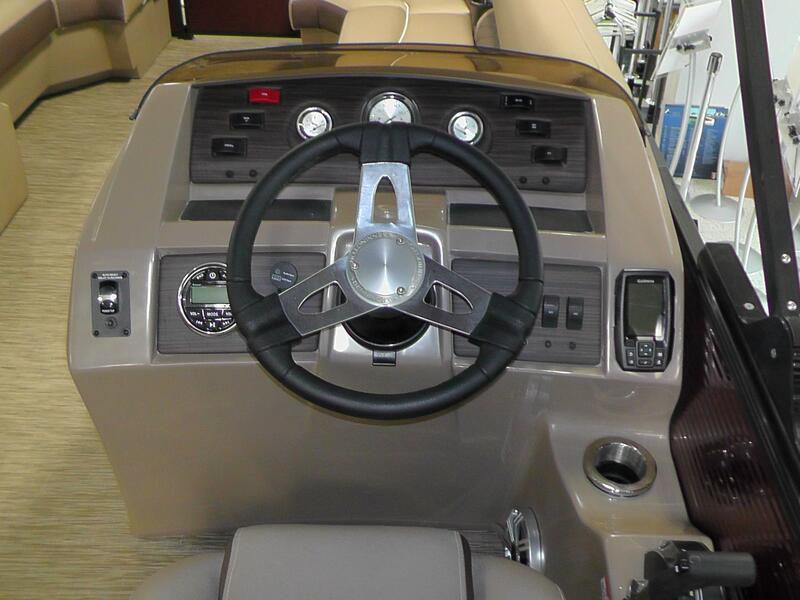 Features Include: Swingback Speaker/Grill Lighting and Railkeeper, Kicker LED RGB Backlit Speakers, Zebrawood Slate Trim, Garmin Striker Depth/Fish Finder, Starboard Bow Cooler, Portable Cupholders (2), 4 Step Stainless Steel Ladder, Kicker Sub and AmpHeavy Duty Rub Rail w/ Bow and Aft Pop-Up Cleats, SeaStar Hydraulic Steering, ESP Tube Package (Full Length 32" Elliptical Center Tube, Underdeck Waiveshield, Full Length Keel, Lifting Strakes), Center Tube Fuel Tank, Sharkhide Protectant (3 Tubes), Dual Batteries w/ Switch, Toekick RGB Lighting, 52" Ski Pylon, Power Bimini Top, and Quick Clip Playpen Cover. 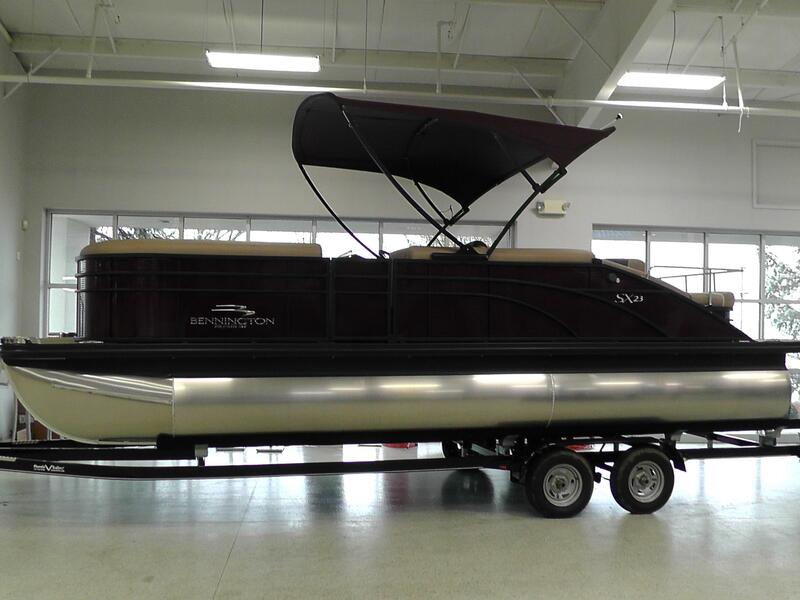 Trailer is NOT included.